IZH started in 1933 in the USSR town of Izhevsk which is where the name came from, the first three letters of the town name. 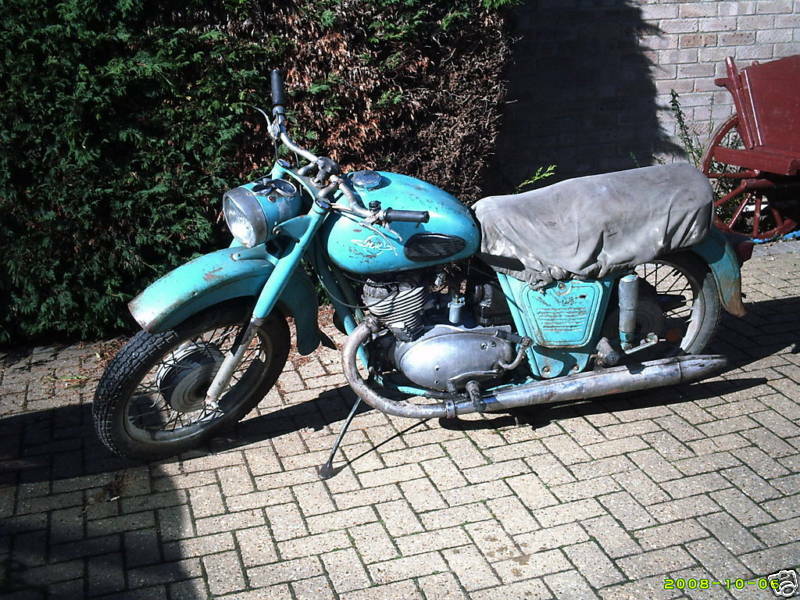 IZH did as many Soviet motorcycle companies of the era did, they copied the technology of other manufacturers and the early bikes from IZH were direct take-off's of Germany's DWK. 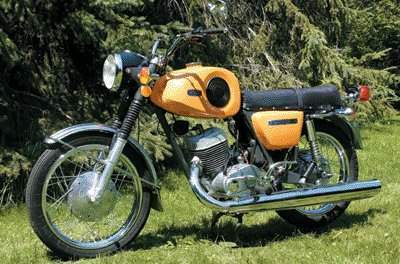 After WWII, IZH began producing ISDT racing versions using regular production parts but in the 1960's made specialized bikes with winning in mind. These ISDT inspired motorcycles proved very successful winning gold medals in international competition for the Soviet teams. IZH continues to produce motorcycles and are very popular in the Middle East, Far East, Eastern Europe, Central Africa and South America. Izh, also known variously as IZ, Ish or Ishmash, refering to IZHMASH, the Izhevsk Mechanical Works. With DKW and Adler ancestry, the Jupiter (and it's older single cylinder sibling the Planeta) evokes Sputnik and earlier automotive styling ideals, with this model sporting one of the most unique and compelling sidecars from the Soviet Union. Picture provided coutesey of www.RussianSidecars.com. 1969 IZH Planata 2 The Planeta line started in 1962. In 1971 to 1975 the plant expanded with a modern assembly line and increased production. 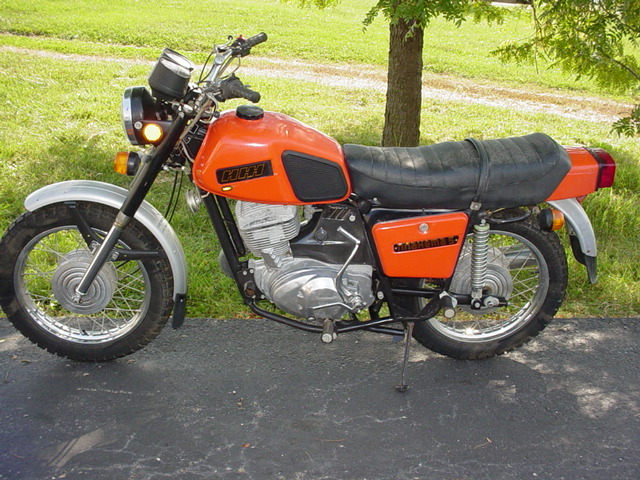 This is when the Planeta Sport was introduced using IZH's own technology and was far removed from DKW technology. 1969 IZH Planeta 5 The engine is a 350cc single of Russian design that is still in production. They are reliable, easily maintained, and virtually bulletproof. Produced at the same factory renowned for the Kalashnikov AK-47 assault rifle. 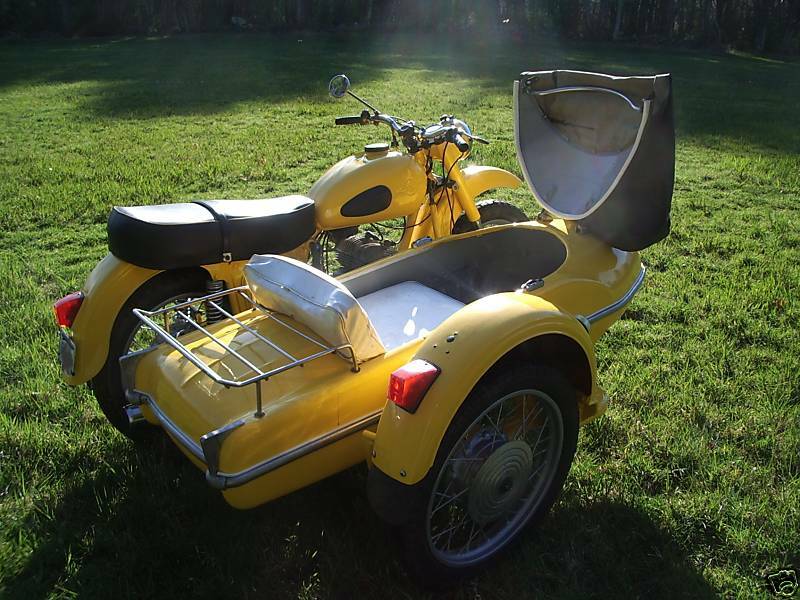 The bike includes sidecar lugs, crash bars and hardware, and toolkit. Clear title. tyres have the "Made in USSR" stamp on them. The color is a match to Harley-Davidson Mirage Orange basecoat.